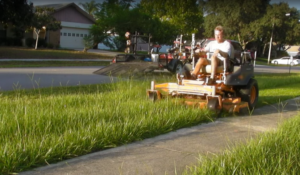 Mow lawns for the summer, or work towards your retirement. We’ll actually give you a 4% match on your 401 k.
Whether lawn mowing, landscaping or snow removal we generally work year round. If we run out of grass and snow, we also do remodeling and property maintenance! If you wanted, you could earn your Commercial Pesticide Applicators license and earn more money. We own and operate five high lifts, three skid steers, and an army of pickup trucks, so a driver’s license is a good thing to have around here if you don’t want to be a passenger! Our shop is in North Tonawanda and we start at 8am. We are crazy busy so we are hiring lawn mowers, landscapers, pesticide applicators, and maybe a mechanic. Wages start at $9 or $10 and are negotiable after that.